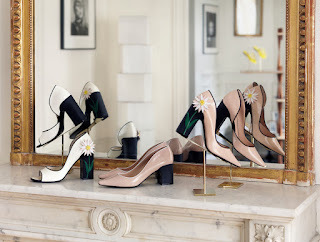 Glowy: New Shoe Designer Alert: Louis Vuitton Shoe Designer Fabrizio Viti Launches His Own Shoe Line. 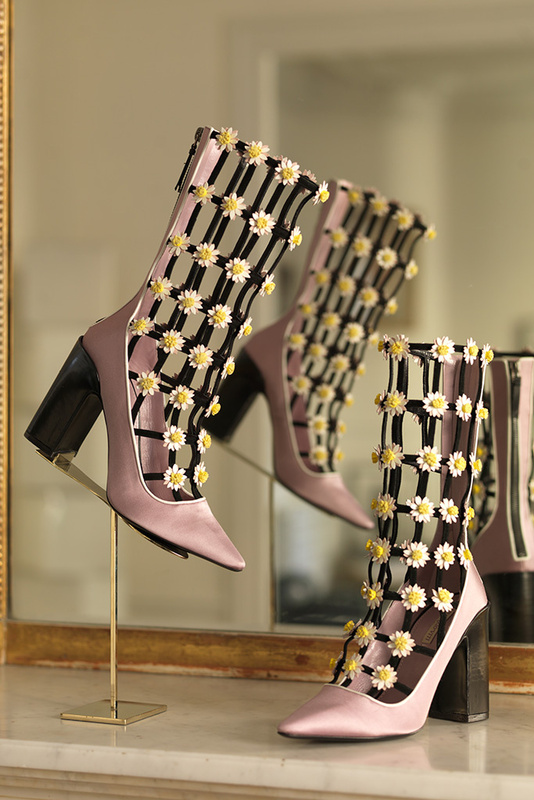 New Shoe Designer Alert: Louis Vuitton Shoe Designer Fabrizio Viti Launches His Own Shoe Line. More shoe designers are springing forth ...remaining glowyshoes..hehehe. Aii i know not many of us might not know who Fabrizio Viti is well read this interview he granted to FN.. Fabrizio Viti has worked with Miuccia Prada, Tom Ford at Gucci and Marc Jacobs and Nicolas Ghesquière at Louis Vuitton, where he’s been shoe style director for 12 years. Now the designer is stepping into the limelight with the launch of his own eponymous label for spring ’17. The collection, titled “Please Don’t Eat the Daisies,” is unabashedly upbeat with floral embellishments, Sixties accents and pastel shades. The designer spoke to FN about his journey so far and his new venture. What has it been like to work with such defining fashion personalities? I was very inspired by Mrs. Prada, whom I adore as she has her own vision: the way she dresses up and talks and the way she thinks. With Tom Ford, I was impressed by his ability to edit. [He always said], “You like two things, but which do you like better?” With Marc Jacobs [at Vuitton], it was like working for fashion and Broadway at the same time. Marc is wonderful. But working with Nicolas [Ghesquière] is the best time I’ve ever had. He has own vision and doesn’t like to compromise. He has pushed me to do things I never did before. But he is super-kind, intelligent and well-educated. He’s also a grateful person, which is rare to find. How has the footwear industry changed since you started? There are many more products on the market than when I began, so there is much more competition. But competition is exciting. What is the difference between working at Vuitton and on your own line? Nicolas is creating the story, and I am part of the script. But for myself, I start with my own references. Do you have more creative freedom? Although I have duties to fulfill at Vuitton, I never feel like I am not free because the possibilities are endless. Designers are not slaves to these big brands, and people need to stop complaining while taking the money. Actually, I had more physical limitations with my line since I don’t own the factory that makes it. How does it feel to move into the spotlight from behind the scenes? It’s kind of nice. People have been very supportive. If I was afraid to be exposed, I would never do a collection with my name. It is always an evolution, but I like contrasting elements. 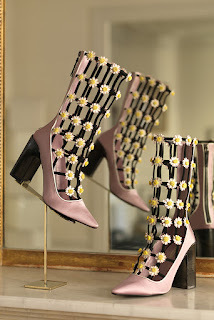 My pink-satin caged boot is feminine, but the heel is black spazzolato leather. 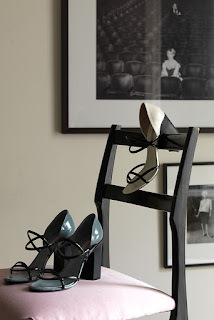 Some of my leather pumps have a vitello gommato heel, which looks like rubber. 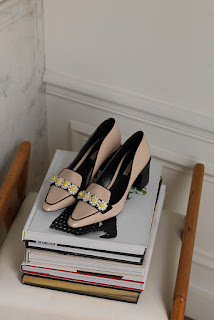 What inspired your debut collection? The name came from a Doris Day movie [from 1960, in which she] was the strong postwar American wife. This resonated with me in our confusing times. With everything that has happened here in Paris, I wanted to do something joyful. My shoes are not made for women who want to please the men but for the woman who wants to please herself. My customer doesn’t need to buy another pair of shoes, so she’s got to want them. My apartment in Paris. It’s full of black-and-white photographs, which I started to collect after Patrick Cox gave me a picture of Barbra Streisand by David Bailey. What gives you the most satisfaction as a designer? Seeing my shoes on the street. Do you have goals for the future of your brand? I’m thinking about doing bags and a perfume, but it’s still very early. Labels: Fabrizio Viti, Launch, Shoe Designer, Shoe Line. Everybody is just launching their business anyhow these days. If it's not shoeline, it is clothline. Nice. Happy for Fabrizio. He's got nice designs. I love that he design shoes with the block heels, as those are the only shoes I can handle above two inches, lol. ❤️❤️❤️ Me some viti men!